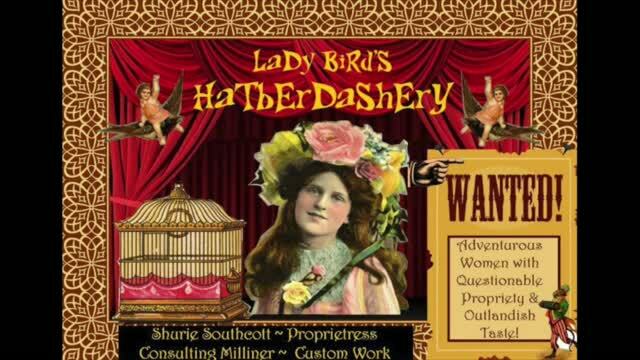 Welcome to Lady Bird's Hatberdashery! So why hats? I mean, who wears more than a baseball cap these days? Well, I would beg to differ my hat interested friend! There are so many events and so little hats! Strike that. Reverse it. What with Steampunk running amok, Comic Con bursting at the seams, and Halloween becoming the next official holiday in the US, we have many occasions to wear costumes in which a hat is a fashion MUST DO!